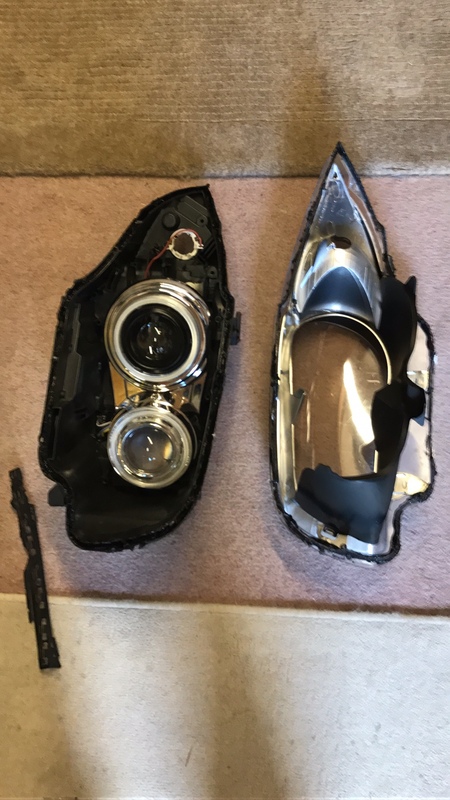 Been looking through the forum and can't really find a guide on how to split the headlights, just a '6-7mins at 120°C'. 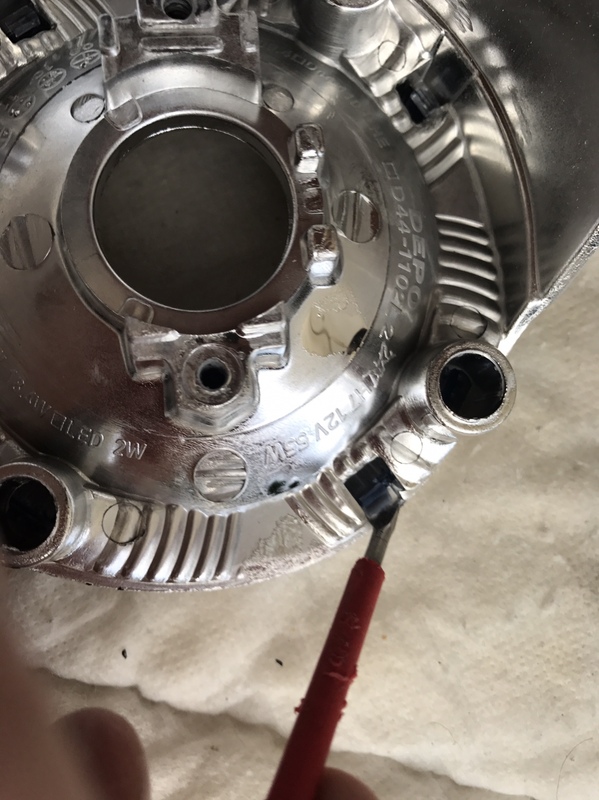 Wondering if anyone has attempted the split and can offer any advice, tools needed, which wires you removed etc. Yes I did it last week and 7 mins in a fan assisted oven at 120C worked well. Only advice is obviously it's going to be very hot so you'll need gloves to pull the headlights apart. And wear clothes you don't mind getting rubber sealant over as I put the light against my chest and pulled open. You'd want to take the bulbs out before baking. You can't remove the projector unless you split the light. No screws no, just a couple of holding clips. Yeah as sonic said remove any lamps too. Managed to find do this today, took a few pics for anyone wanting to give this a go. Started by removing as much of the headlight as I could, wires projectors etc. Possible to remove the projector with a 7mm ratchet, only 3 nuts! I preheated the oven to 120°C, fan assisted. I was unsure how long to put them in for as everyone has said a different time, I went for about 5 and a half mins (better too little time than too much time in the oven!). Took the headlight out (wearing gloves) and attempted to split it. I released what clips I could and started to pull it apart from the indicator corner. To my surprise it came apart like a dream! The butyl is nasty stuff and sticks to everything, so try not to touch the lens with rubber on your hands. It starts to stiffen up again after a few mins so I made sure to remove as much as I could from both parts of the headlight. As I'm replacing the 4x spot with solid led rings, I continued to take the headlight apart. Using a flat headed screwdriver I eased off the adjustment arms. And with a bit of gentle persuasion pulled it from the cover. The angel eyes cover are just held in with a few clips (that like to break, so take it easy). 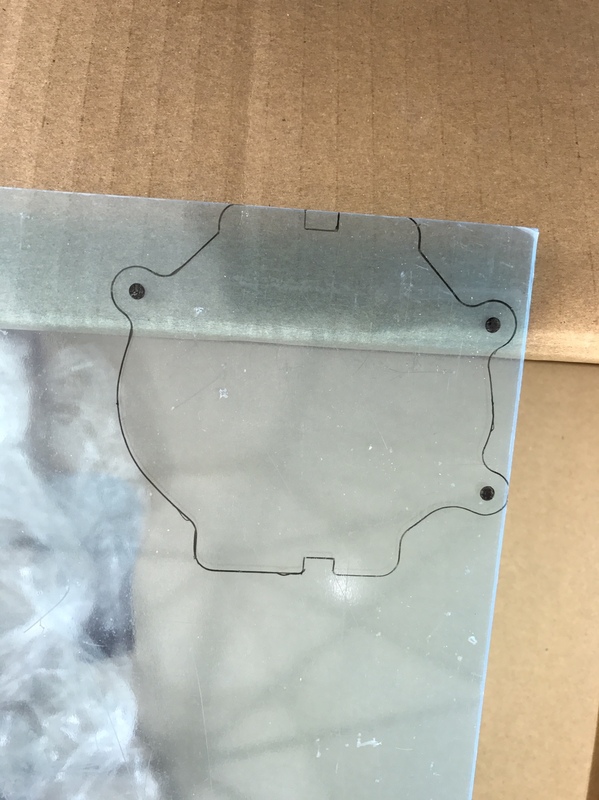 Also, once the old depo projector is out, you can take that apart to help mark up for the brackets to fit the morimoto mini h1 (I'm waiting for mine to arrive in the post, so can only do so much until then). EM Tuning has brackets readily available to buy for Morimoto projectors buddy. They were prototyped on my lights and a few pairs made to sell. Holy thread revival, got these in finally at the weekend, well chuffed. Bringing up an old post, what size rings are these ? Great job and look good !! What do you use to reseal them?